Egypt may be luring you this season and it won’t be wrong to tour that country! It is easily the biggest holiday destination in the world! Who can dispute the charm of the pyramid or resist the call of the Nile? i. Be wary of money seekers: The locals of this country are mostly poor. They usually target tourists to seek money by offering small services or favors! So, it would be wise not to get into conversations with random strangers or with too many people! Even for offering a small help with luggage, the person is going to plead for a ‘khidmat’! Though, you should offer them tips where it is due, but you still need to be wary of the opportunists. ii. Carry loose coins: Since you will need to offer tips and ‘khidmats’ to almost every staff you run into, it is best to carry loose coins and change! If you don’t, then you may have to regret overspending on tipping! Besides, if you have a genial heart, then you will lose half your money on tipping strangers! iii. Cover yourself from shoulder to knee: You need to cover yourself from shoulder to knee when in this country! No, you cannot show cleavage or shoulder or thigh! So, just dump the micro mini skirt or that off-shoulder gown or the low-neck top! You should also wear dresses which have sleeves (even short sleeves would do)! If you wear skirt, then chose one which reaches well below your knee! For more Egypt tourist information, you can buy a travel guide! 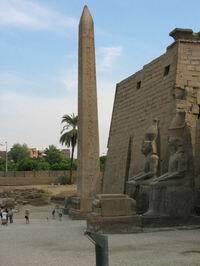 This entry was posted in Travel and tagged Egypt tourist information. Bookmark the permalink.